Repeated flooding of the Le Mar Trailer Park reveals a pernicious double bind: those with the fewest resources are zoned into living in the most dangerous area. To survive, fraternities should go co-ed. Trade group projects an 8.6% increase in airline cargo sales this year. Vive is not your typical church. This place of faith has taken off against the odds in Silicon Valley. As the historic Harlem ballet company marks its 50th year, it confronts the loss of its founder and longtime leader. Kiley Roache has been a journalist since she was 15 years old, when she had a student column for The Doings. From her days reporting backstage at boyband concerts, she’s expanded her experience, reporting from courthouses, Farnborough airshow, and dozens of other places. Her investigative reporting on Le Mar mobile home park exposed that only area mobile homes were legally allowed to park in Redwood City was also the only FEMA designated flood hazard zone. Employing narrative writing techniques, she brought the human element of this important story to the forefront, cutting through obscurity of zoning regulations. Through observational reporting and extensive interviews, Kiley brings to life the subjects of her feature reporting, from a tech-inspired church in Silicon Valley to a Harlem Dance company mourning the loss of its founder. Kiley is adept at conveying complicated concepts for a general audience. She’s written about technology and complex business transactions clearly, while maintaining nuance. As the Daniel Pearl Memorial Intern for The Wall Street Journal, she reported from the London bureau on a number of topics, earning multiple bylines in the U.S. print edition. 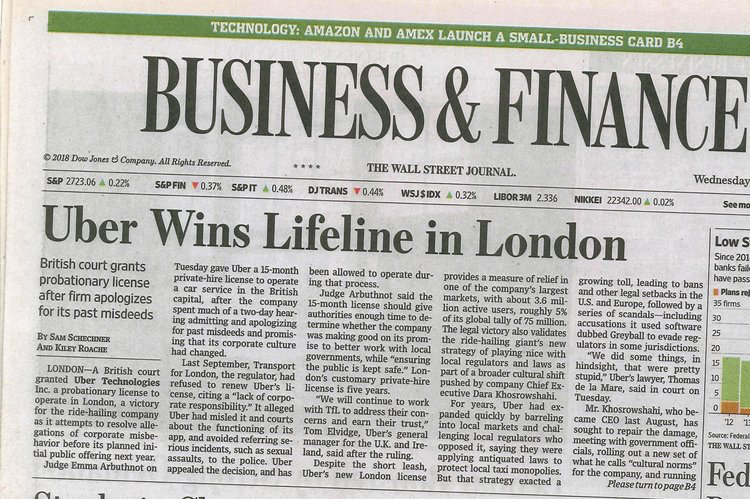 Her co-written coverage of Uber’s clash with London regulators ran on the front page of the business section. Kiley has also driven traffic with engaging digital content. At the San Francisco Chroncile’s SFGate she wrote stories that consistently drew and maintained readers. One of these stories received 1 million views in only it’s first 24 hours on site. “Regular people can now invest in start ups: But should you?” Columbia Journalism School, December 15, 2018. “Breaking the Glass Ceiling: There’s an App for that,” Peninsula Press, December 4, 2017. “Why this runner started the marathon, even when she wasn't sure if she'd finish,” Columbia Journalism School, November 6, 2018. “Housing Crises Affects Emergency Response Plan,” Peninsula Press, December 4. 2017. “U.K. 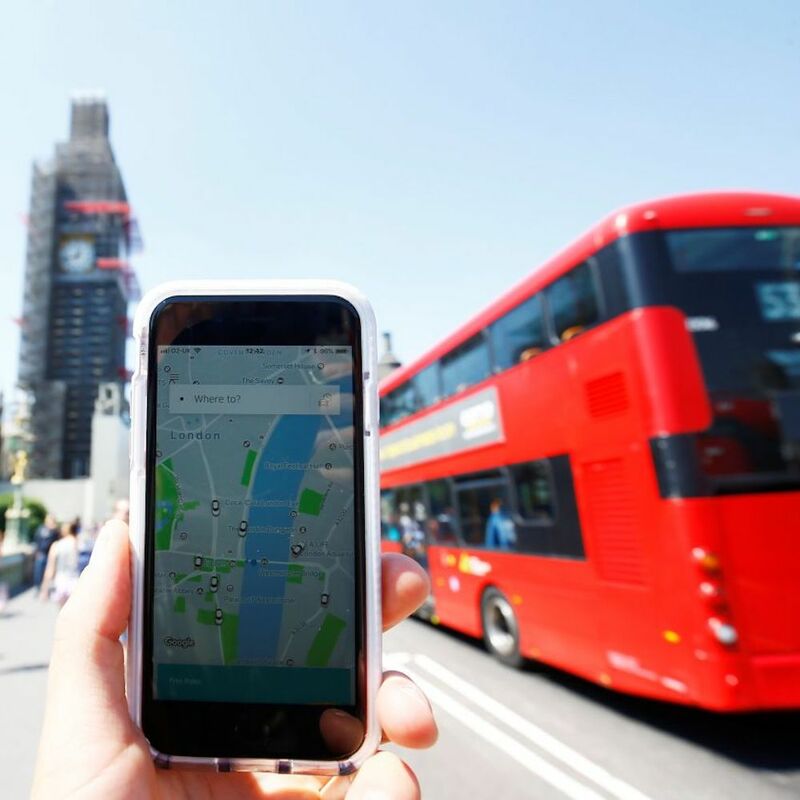 Court to Rule on Uber’s Future in London,” The Wall Street Journal, June 25, 2018. “Fox Gets UK Approval to Buy Sky Amid Bidding War with Comcast,” The Wall Street Journal, July 12, 2018. “Micro Focus Selling Subsidiary for $2.54 Billion to Raise Funds for Troubled Hewlett Packard Deal,” The Wall Street Journal, July 2, 2018. “Retail Vacancies Increase Along 125th Street as National Chains Move in,” TheUptowner.org, September 11, 2018. “Teens' use of perfect selfie apps raise concerns,” SFGate, September 1, 2017. “Nearly 83 percent of Bay Area renters plan to leave, says survey,” SFGate, August 17, 2017. “Bay Area foodie bucket list: All the dishes you must try whether you’re a newcomer or native,” SFGate, August 8, 2017.